Time to shop for toys! It’s so much fun for kids to anticipate the gifts they will receive during the holiday season and we enjoy shopping for them. Unfortunately though, some toys are not a safe choice. 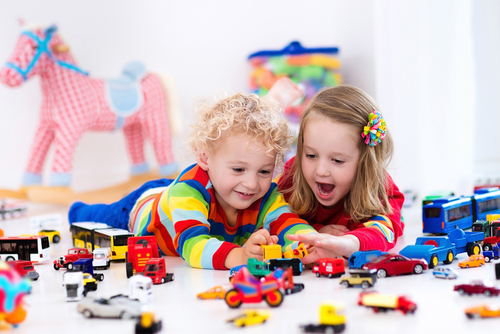 The American Academy of Ophthalmology states that projectile toys are not safe. Injuries from these toys cause patients to experience pain and blurred vision that take days or weeks to go away. Serious eye injuries can also result, such as permanent vision loss, corneal abrasions (eye scrapes), bleeding, traumatic cataracts and increased eye pressure. If you do buy a projectile/propelling toy for a child, be sure they are supervised while playing with them and wear eye protection. Carefully read and follow manufacturer age guidelines and warnings. Seek immediate medical attention from an ophthalmologist if someone experiences an eye injury. Never apply pressure, rub, touch, or try to remove any object from the eye. Keep safety in mind during celebrations and gift giving this season to make everyone’s holiday a happy one!